The Men’s Hugo Boss Jackson Watch 1513373 is available to purchase at Hillier Jewellers. It features a stainless steel case and brown leathers strap along with a white dial. 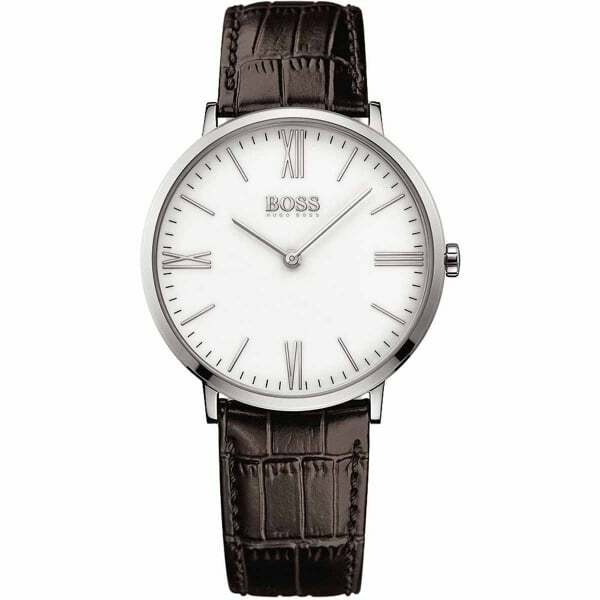 The gents Jackson Watch 1513234 form Hugo Boss is part of the Hugo Boss Jackson watch range which comes with a two-year warranty and is supplied with an official Hugo Boss Watch gift box.